Quintessentially British design and exquisite craftsmanship combine with the vintage-inspired Emmy London collection. This illustrious ring is beautifully crafted in 18ct white gold, styled with antique milgrain details. Baguette diamonds embellish the cut-out shoulders, with beautiful brilliant diamonds taking centre stage. 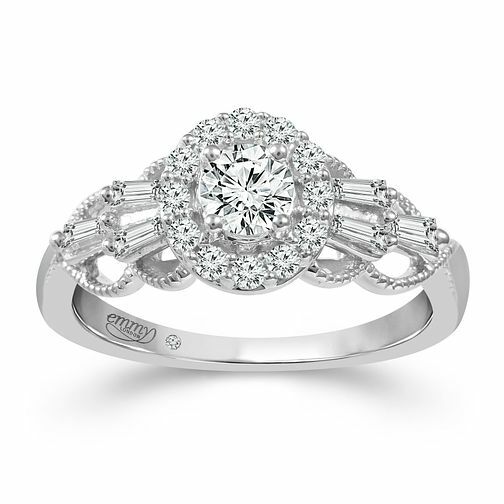 An intricate and elegant diamond ring, with a hidden stone set within the band alongside the Emmy London signature. The total diamond weight of this ring is 0.66ct.